In honor of Book Blogger Appreciation Week and with thanks to Susan Taft-Bourgo of The Perseus Books Group, I have a hardcover copy to give away. The picture doesn't do the cover justice, there is a lot of detail missing. 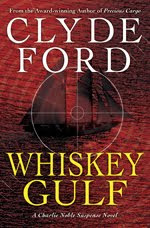 A sailboat fails to arrive at its next port of call after crossing into a “live-fire” naval exercise area just north of the border known as “Whiskey Gulf.” Charlie Noble is asked to investigate why the sailboat went missing, and what happened to the couple aboard. But Noble runs into a wall of secrecy erected by the American and Canadian governments, and into troubling questions about the real identity of the couple involved. Ultimately, he and his partner, Raven, set sail on the Noble Lady in a case that leads them up the Inside Passage to the remote coast of British Columbia. There, they discover answers about what really happened in Whiskey Gulf that others would rather remain concealed forever. Will they survive to reveal the truth? Susan has informed me that the book isn't being distributed worldwide. 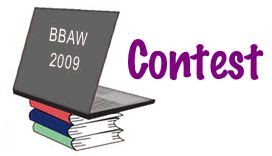 "If the contest winner lives outside of Canada or the US, you might want to let them know that they won't be able to find the book in their local bookstore." THanks for the chance to win. I am a follower. My odds are looking good. Thanks for this giveaway. ooh! this looks like a good one! I do most of my reading for entertainment. Please add my name to the draw. I want this one. I love stories like this...thanks.. I Love mysteries and would love to read this. I write freelance reviews as time permits for websites when I really love books or when they are sent to me for reviews. And I read a ton of books just because I have read books since I learned how to read. I read alot of text books since I started college. Reading for pleasure gives me a break from homework and helps me relax. Thanks for the giveaway. This sounds like a book I would really enjoy. This book sounds really good! Enter me please.